On August 23rd, 1954 at the famed Bonneville Salt Flats in Utah, a factory-prepared Austin-Healey set 83 National and International Class D records driven by Donald Healey, George Eyston, Carroll Shelby, Mort Goodall and Roy Jackson-Moore, including a 24-hour average speed of 132.81 mph. 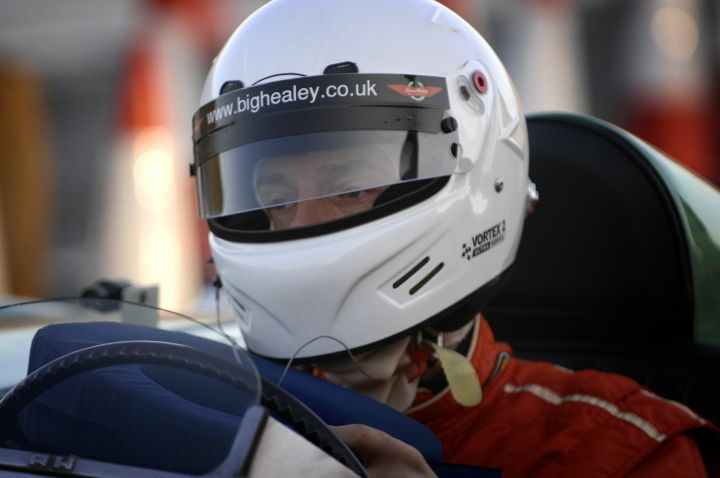 Owner Donald Healey’s desire to take the 24-hour endurance record stemmed from his belief in his car and the need for publicity to promote it. 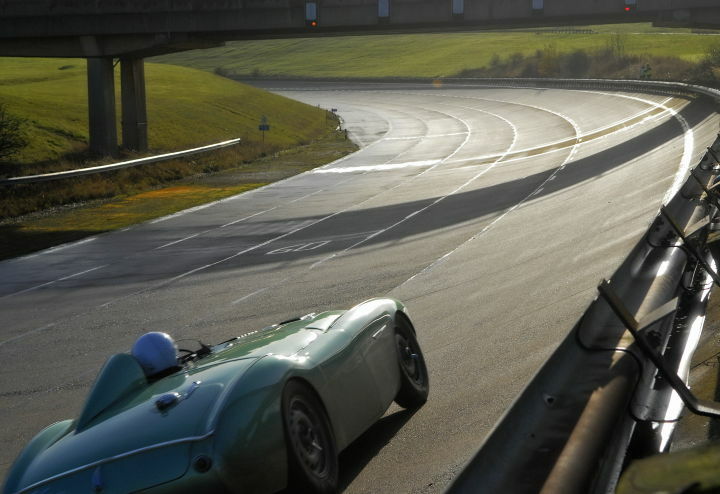 He fitted a standard 100/4 chassis with a modified Weslake-designed cylinder head, 16-inch Dunlop peg drive wheels and Dunlop disc brakes (a first in production sports cars). 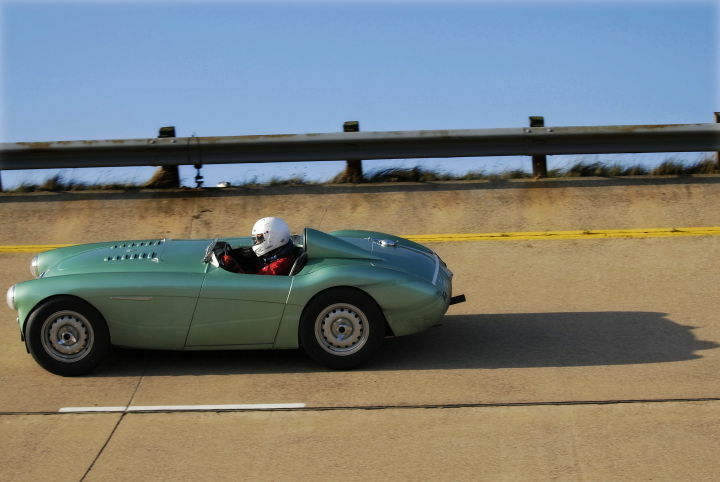 There were a small number of aerodynamic modifications, including a small aero screen and head fairing, plus an air-cooled battery compartment in the right hand passenger compartment. 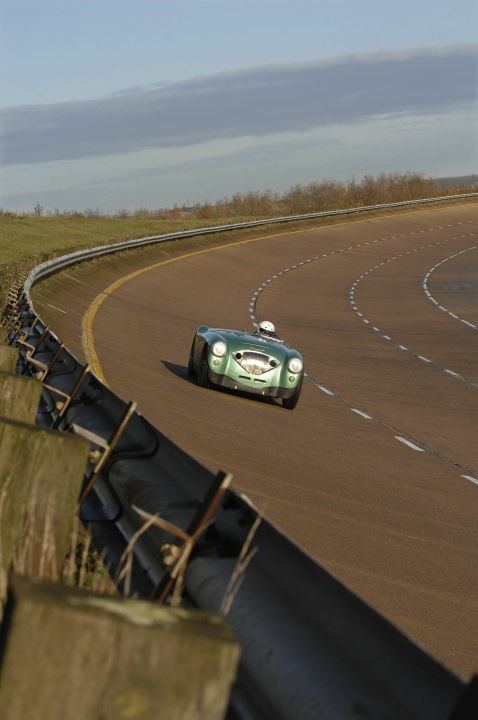 The record has stood ever since for Healeys, until present day when Austin-Healey enthusiast Martyn Corfield decided to attempt to beat the non-supercharged 4 cylinder records set by the Healey works team in 1954 and the current National records held by Prodrive. 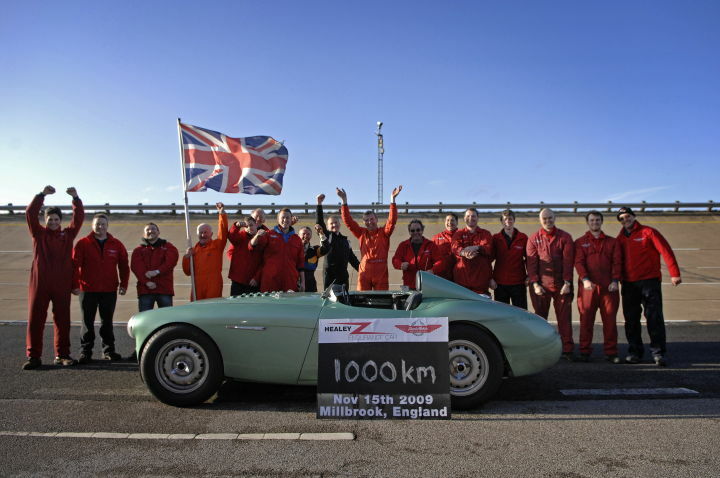 Martyn Corfield enlisted Denis Welch Motorsport to recreate the Bonneville 100/4 as faithfully as possible, including similar aerodynamic fittings such as head fairing, solid aluminium tonneau and air intakes at the front. They also used the special 16-inch peg drive Dunlop Wheels and purpose-built hubs made from original factory drawings. The 4-cylinder engine utilizes 100S Weslake aluminium heads and twin 1.75″ SU carburetors. 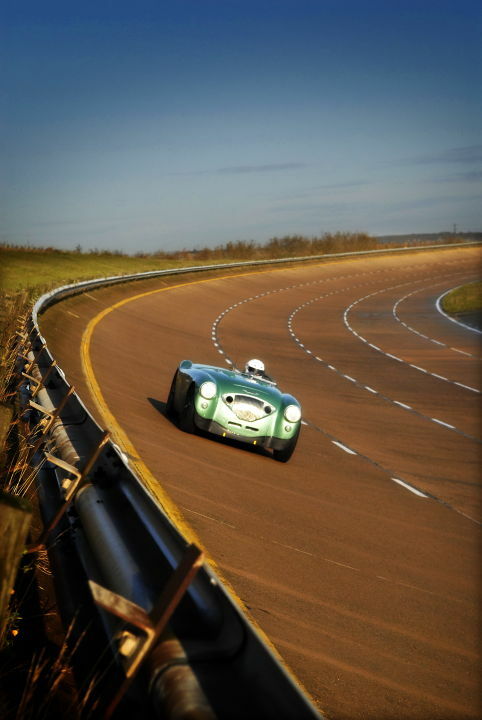 It was painted in the correct shade of metallic green, as verified by Geoff Healey shortly before his untimely death. 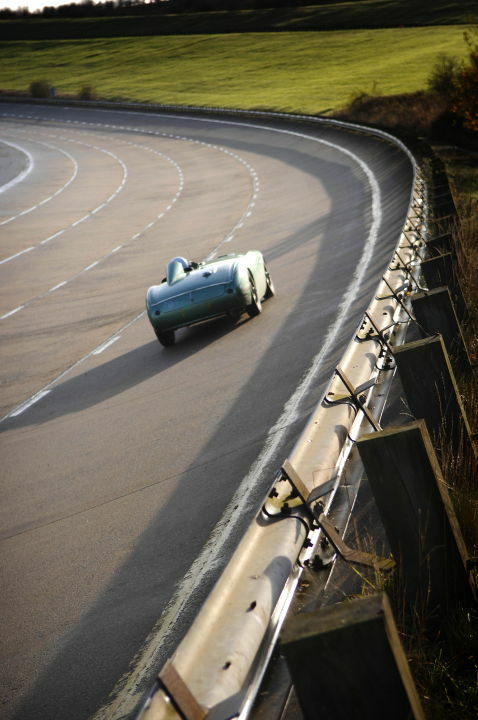 Now known as the ‘Healey Endurance’ car, the car recently attempted the International and National speed record up to 1000 Km (International Group 2, Class 8 non-supercharged) on November 15th, 2009, successfully completing 308 laps around the Millbrook Proving Grounds at a record-breaking average speed of 148.22 mph. The record is currently subject to FIA & MSA homologation as to whether the six International and nine National records under consideration will be confirmed. 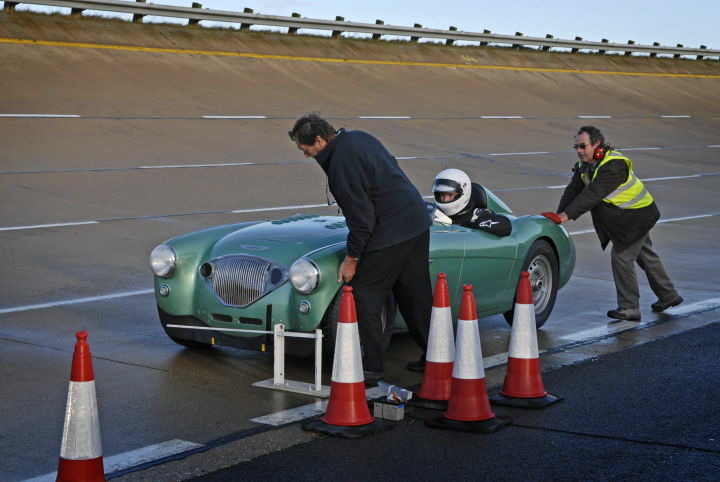 The car had a trouble-free run with three scheduled pit stops and was driven by owner Martyn Corfield and engineer Jeremy Welch in four stints of one hour each. 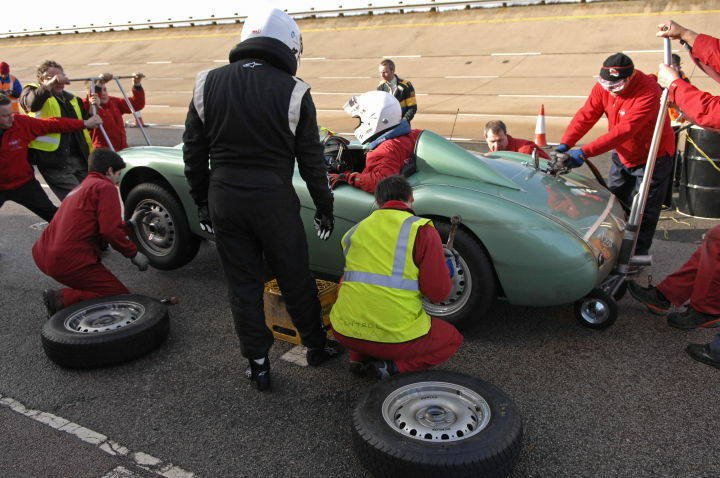 An additional pit stop was made after Martyn was spun across the track at 150 mph due to the damp surface from the previous day’s torrential rain and howling gales. After such a mind-numbing moment Corfield was still able to gather the car, losing little time and, after a safety check, carrying on unabated to the next scheduled stop. 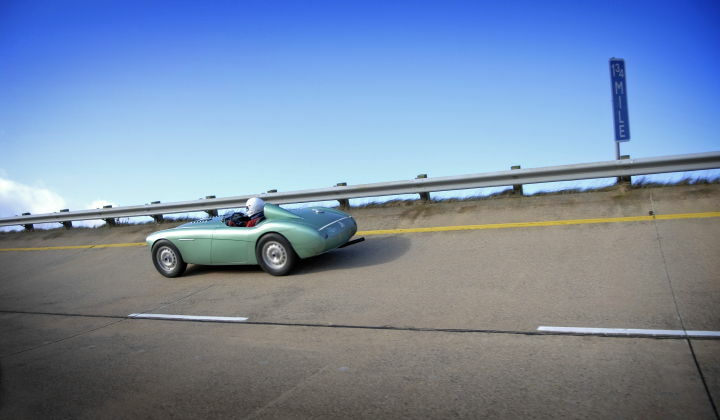 “We have made a great attempt at the 1000 km endurance record this weekend and subject to confirmation are happy that the car has performed brilliantly achieving near the theoretical maximum calculated by MIRA in 2009 which is better than we could ever have hoped for. 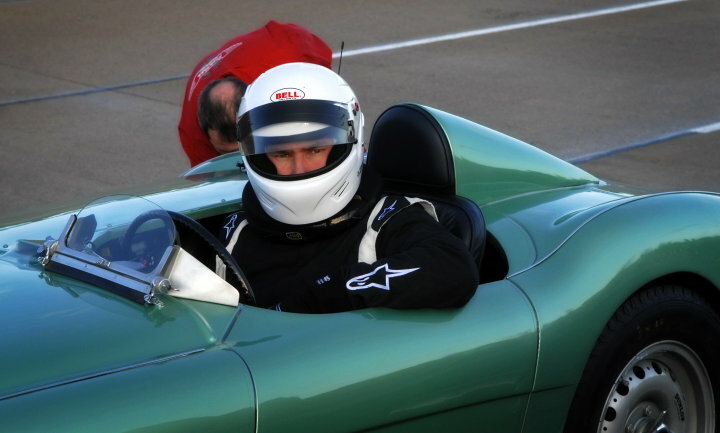 It’s definitely the fastest Austin Healey in the World today at 153.44 mph, according to the stopwatch and is now the subject to FIA & MSA homologation to see whether the official International and National records have been achieved. We are looking forward to releasing more news shortly,” commented Jeremy Welch. For more information, visit www.healeyendurance.com. The day started early after the previous day’s lashing gales had made practice almost impossible. Soon the sky broke and the car was running smooth and true as it did for the whole attempt. 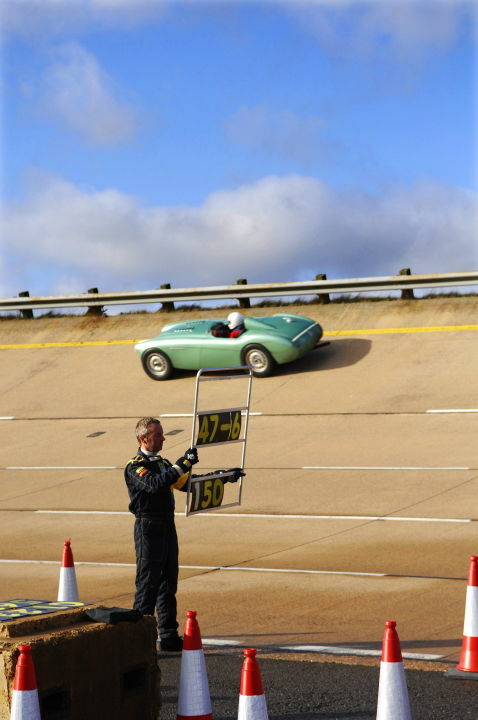 As an owner of a Austin Healey its awesome to see the recreation of the early speed testing and seeing a 100-4 on the high bank of track reminds me of picture for the AH 100-4 Brochure. Beautiful Car and a beautiful story. I love that car. Keep up the great work on an excellent site. WONDERFUL ! BEAUTIFUL ! INCREDIBLE ! Well Done ! I want to buy a book about this attempt and the history of this incredible machine, along with the wonderful folks who broght it back to life. Beautiful 100! I’m from Belgium and I’m restorating a 100 BN1. Can you please give me the colorcode from this car… I’m searching for this color about 2 years!!! Is it the original color of the 100S lemans?? Hi Geoffrey I hope this answer will help you as I looked as several books that I have on the Austin Healey and it seems the color is very unique as the factory had offered a dark green called Spruce Green for the 100-4 and Florida Green which seems very close to aqua in color. 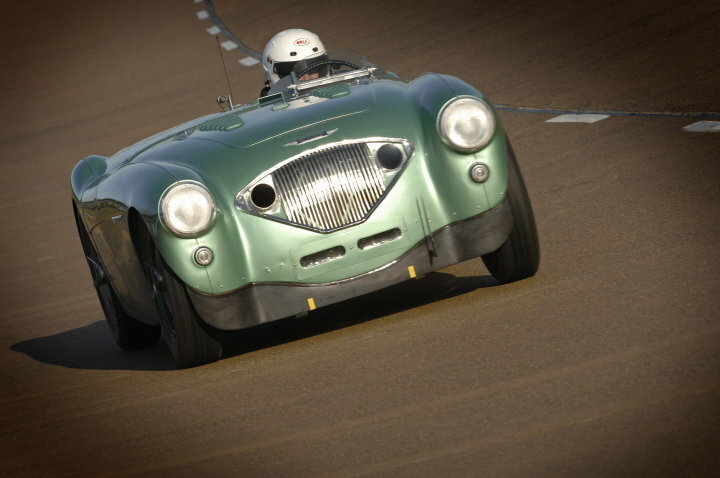 The color used on this beautiful 100-4 seems very close to the Aston Martin Racing Green as a similar colors have been used on their factory back raced cars when David Brown had Owned Aston Martin. I hope this information will have answered your questions. 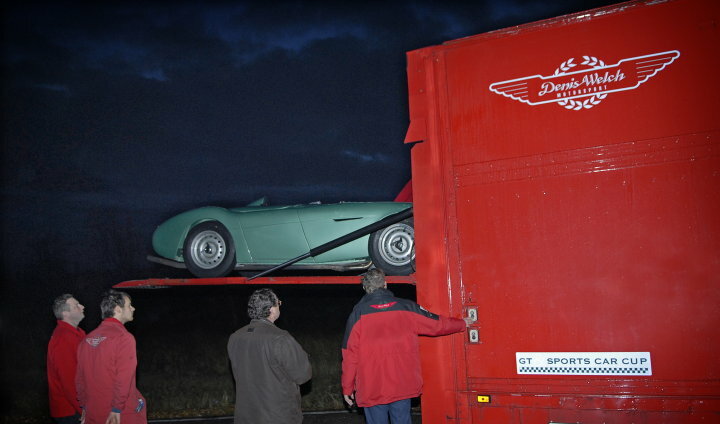 Good Luck on the Restoration of Your Beautiful Healey. California Sage I think is the name of the color ……. GREAT, JUST GREAT SAYS IY ALL !